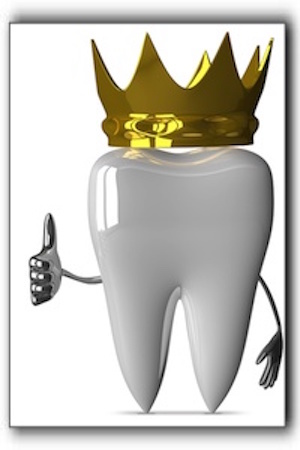 Restorative dentistry is one of the most important services we provide at Destination Dentistry, and when one of our patients is crowned, the coronation is a celebration of a stronger smile. The need for a dental crown is usually apparent. Sometimes it adds more support to a tooth, and keeps it from falling apart or breaking. Crowns are also necessary as a support for dental bridges. A crown restores your tooth to normal shape, size and strength, and allows it to resume its proper place as a team player with the rest of your teeth. Destination Dentistry, located at 141 N 5th St in Custer SD, opened its doors in 1978. We are proud to have been serving patients throughout South Dakota ever since. With our outstanding efficiency, expertise and personal attention, you could be our next royal to smile and wave for the paparazzi. Consult with Dr. Diana Latinow to find out if you are a candidate for cutting-edge restorative dentistry that can increase the life of your precious permanent teeth. Keep in mind that crowns are made in a variety of strong, reliable materials. Gold crowns are incredibly strong and have the “bling” factor. But there are certainly other options. Matching the natural color of your teeth increases the beauty of your smile. In addition to restorative services, we would love to talk with you about cleanings, cosmetic services, teeth whitening, braces, veneers, and other smile makeover possibilities. We are equipped to offer teeth whitening, sedation dentistry, TMJ/TMD treatment, tooth-colored fillings, and a long list of other procedures. Schedule your visit with our knowledgeable staff today, at 605-673-2011.